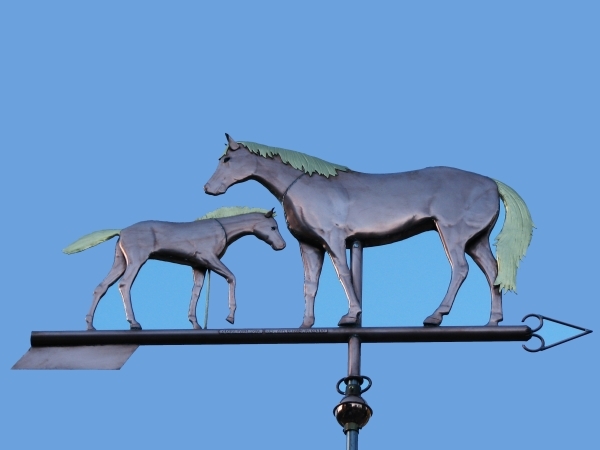 This is our original Mare and Foal Weather Vane design. 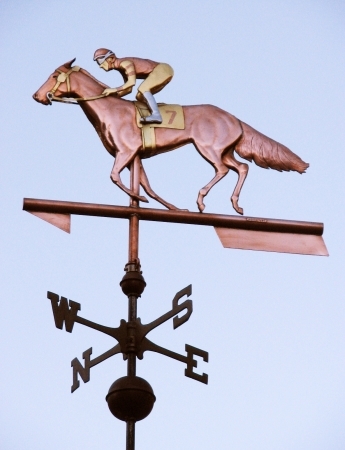 Examples of this weathervane can be found from British Colombia to Lexington Kentucky and throughout the western United States. 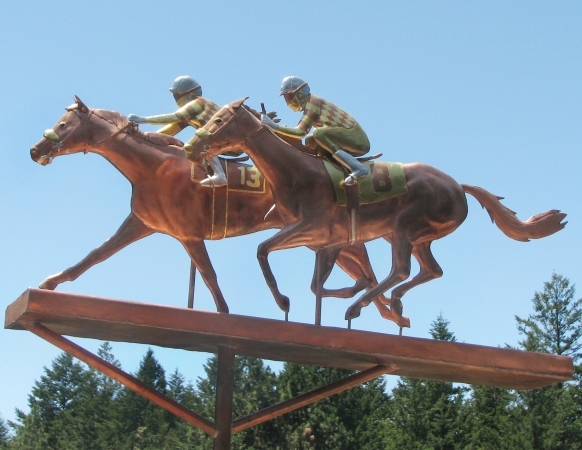 As pictured here, both horses show optional gold-leafed manes and tails. Palladium, which is a silver colored leaf, can also be used to mimic grey markings. If you are interested in a portrait version of this design, please feel free to send us photos of your horse and we will be happy to work up a quote for you. 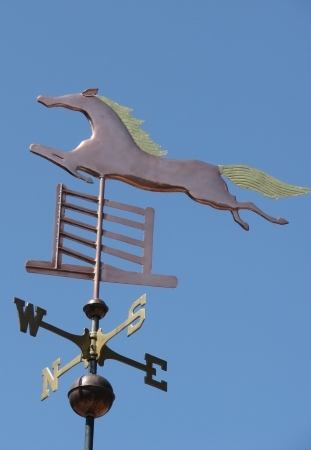 This particular weathervane can be made several different ways. 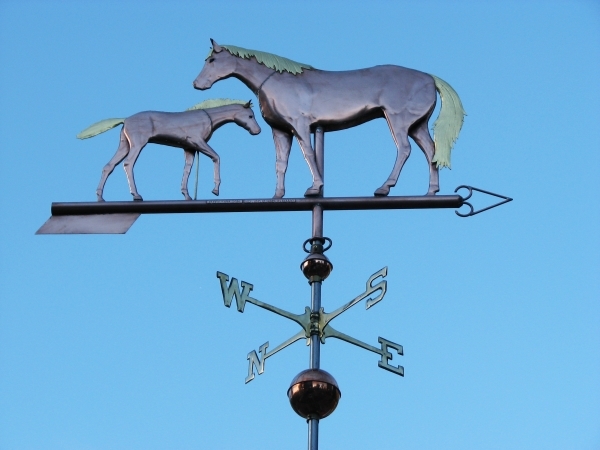 We can make a weather vane for you with just the mare or just the foal instead of the pair. 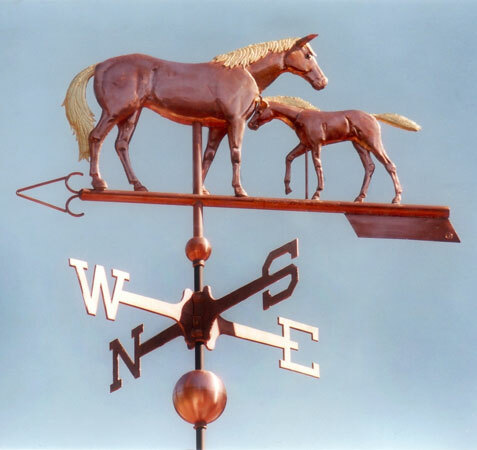 If you order just the mare herself in any given size, the horse is actually larger than it would be in the combined mare and foal weathervane version. 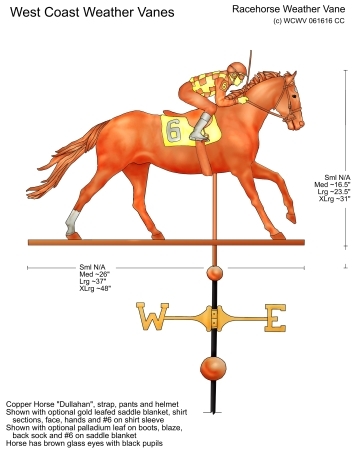 This is because we need to reduce the size of each individual sculpture piece in order to fit two horses onto the same arrow. 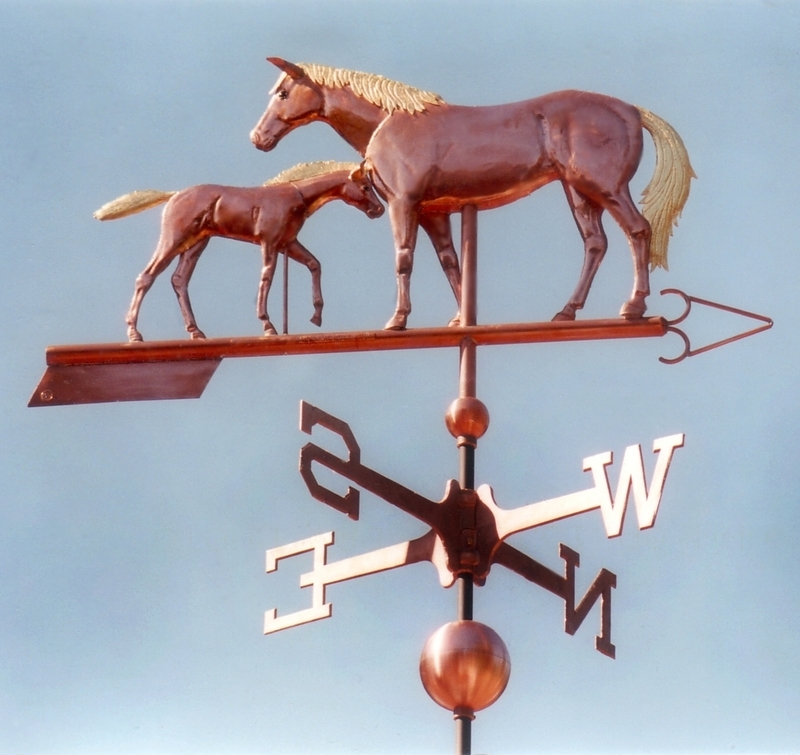 If you are on the borderline between two sized weathervanes (for example, a two-foot sculpture piece or a three-foot sculpture piece), and you like the combination version the best, it may be better to go with the larger of the two sizes. 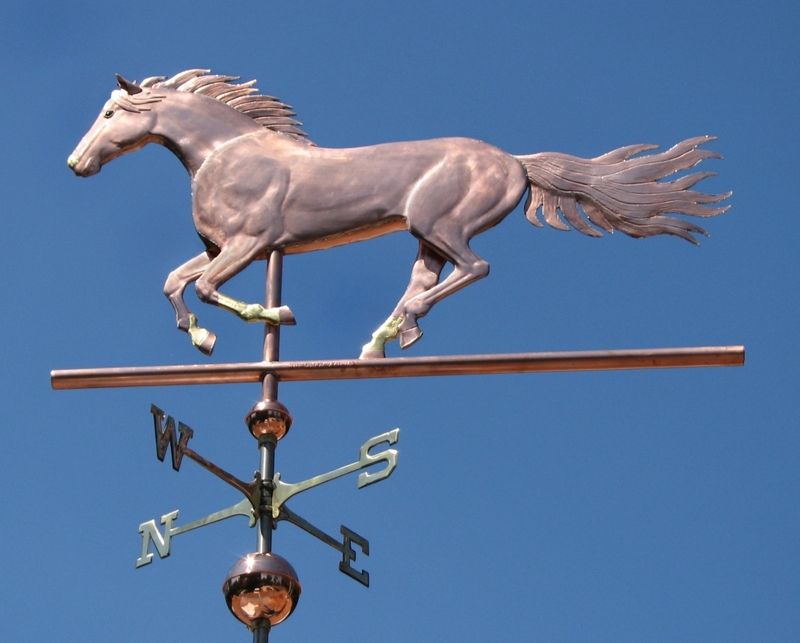 As with many of our weathervane designs, they can also serve double duty as a mascot or logo. 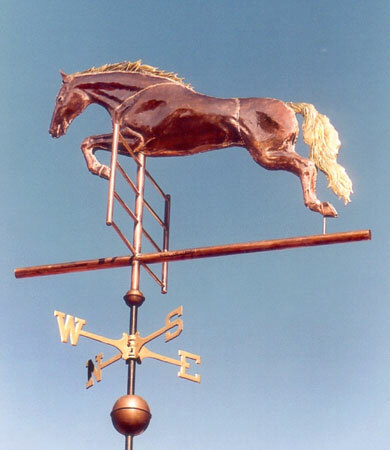 For example, if desired, we could make just the Colt as a weathervane to symbolize not only a love horses, but a love of sports, beer and even handguns! 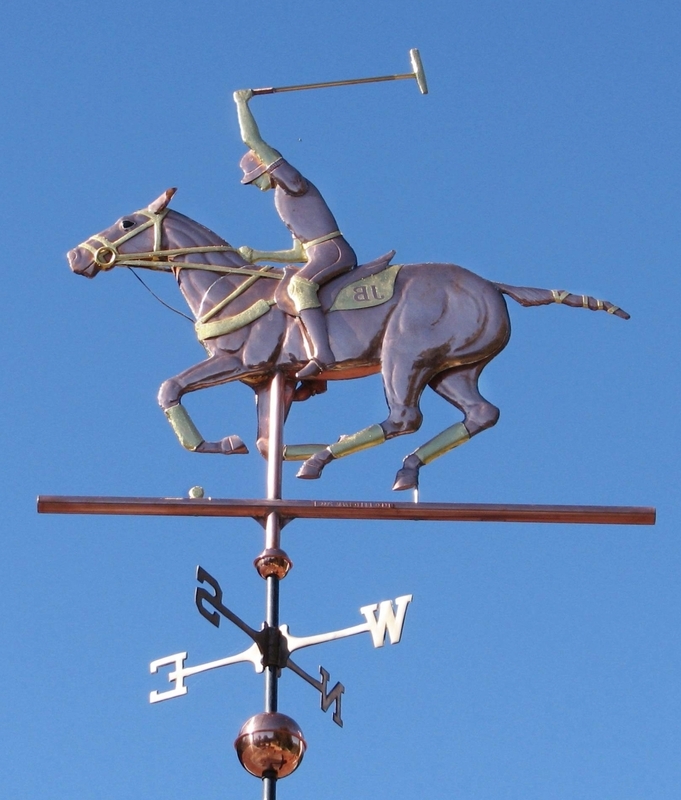 Historically, people have selected weathervanes based on their interests or professions. 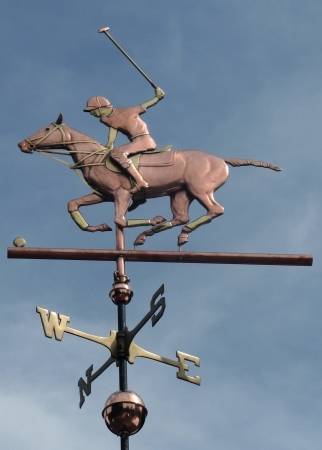 This is one weathervane that could suit many passions! A mare (from an old Germanic word, possibly derived from Gaulish) is a female horse. The word is also an etymological root of marshal (originally Latin, marescalcus — ‘horse servant’, or stable hand). 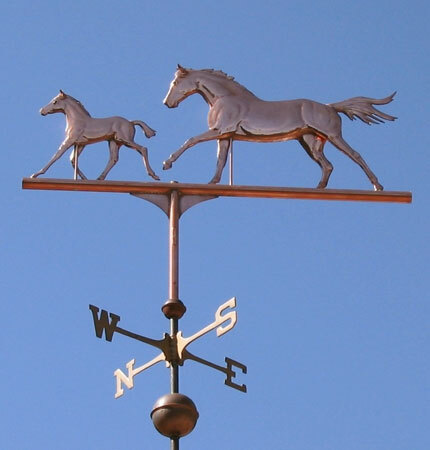 The word can also be used for other female equine animals. A foal is an equine, particularly a horse, that is one year old or younger. More specific terms are colt for a male foal and filly for a female foal, but these terms aren’t used until the horse is age three or four.